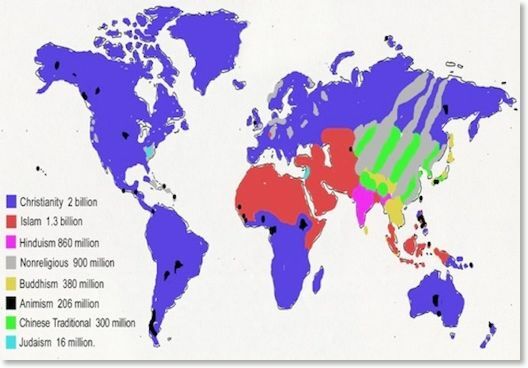 Where do the world religions come from and what do they believe? What Does A Biblical Christian Believe? 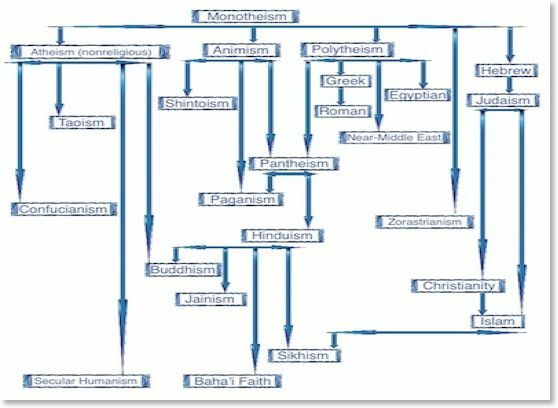 Where did all the religions come from? The question of where is a three fold question: where did the religions come from historically, where did they come from geographically, and where did they come from philosophically. We answer these questions on our religion comparison chart which gives you an “at-a-glance” look at the major religions in the world today and “where” they came from in the threefold sense. The most ancient records of religion or religious belief were not “recorded” at all but merely passed down via oral tradition from one generation to another. Such is the case with Animism, Judaism, Hinduism, and many of the ancient Chinese religions. When these religions began to record their beliefs, rituals, and practices, we find the oldest recorded religion to be Animism, but the oldest oral tradition to be Judaism, which, like many of the other major world religions, traces its roots back to monotheism or one single God or Deity-creator. ____Atheism - The absence of belief in any deity of any kind. 3. Historical timeline – combination of Atheist and Christian worldviews. from which everything else flows. ancient Chinese writings of Confucius and Lao Tzu. Baha'i faith all can trace their roots directly or indirectly back to Hinduism. Zoroastrianism (supposedly still practiced secretly in Iran to this day). 6. Monotheism was not popular when the man from Ur named Abraham first appeared. father of the twelve tribal heads that comprised the Mediterranean nation. monotheistic world religion in the truest sense of the word. What do all the religions believe? • Deity and Theology in general. 2. www.adherents.com: created circa January 2000. Last modified 28 August 2005.